His current work focuses on how a combination of blockchain and Linked Data technologies can be used to process personal data in a decentralised trusted manner and how this can be applied in the educational domain (see http://blockchain.open.ac.uk/). This work is funded by a number of projects. The Institute of Coding is a £20M funded UK initiative which aims to increase the graduate computing skills base in the UK. As leader of the first of five project Themes John Domingue is focusing on the use of blockchain micro-accreditation to support the seamless transition of learners between UK universities and UK industry. From January 2019, he will play a leading role in the EU funded QualiChain project which has the aim of revolutionising public education and its relationship to the labour market and policy making by disrupting the way accredited educational titles and other qualifications are archived, managed, shared and verified, taking advantage of blockchain, semantics, data analytics and gamification technologies. Having worked in and led large European projects over the last 25 years I along with 90% of UK university staff voted Remain in the June 2016 Referendum. I am working hard with my colleagues in KMi and the OU to ensure that we can continue to contribute to European research with all my European colleagues based locally and abroad. 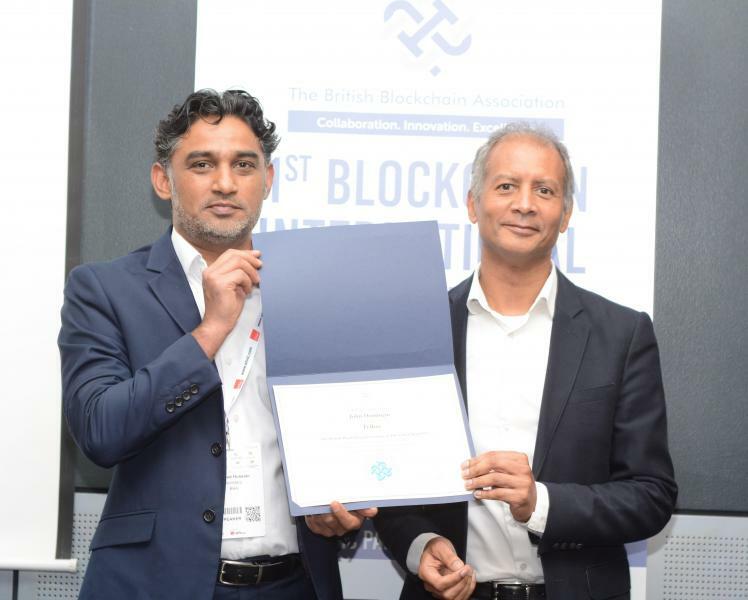 Earlier this week the KMi Director, John Domingue, was awarded a Fellowship of the British Blockchain Association. 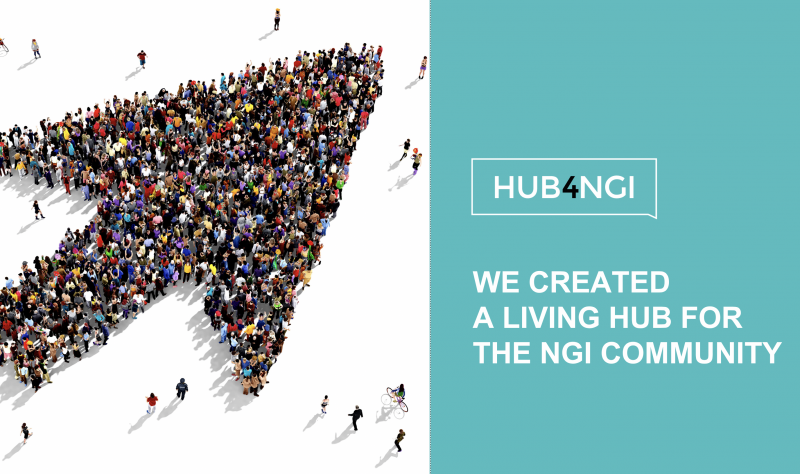 Last week saw the final review of the HUB4NGI project in Brussels. 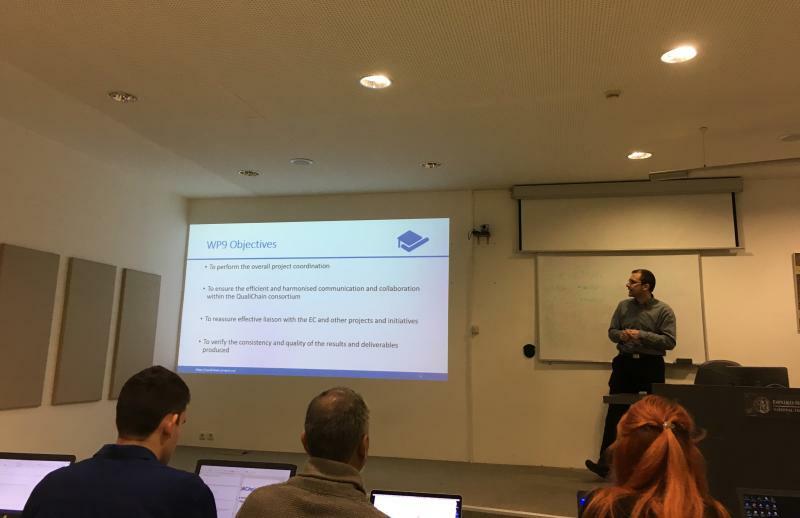 The new H2020 project QualiChain has had its kick-off meeting on January 22-23, hosted by the coordinator partner NTUA in Athens, Greece.